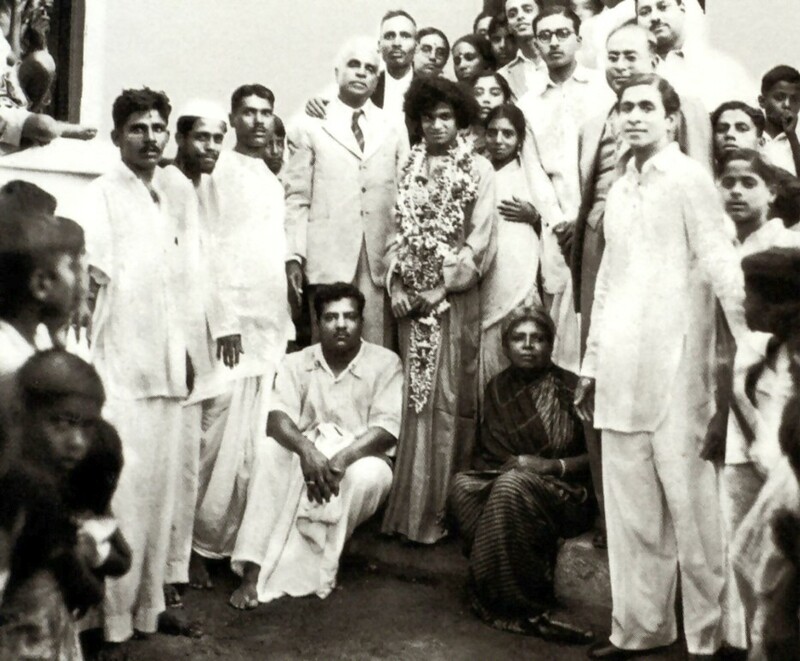 Years before Sathya Sai Baba ever got into a wheelchair, he revealed this event to many people through dreams. As a matter of fact, the author had three dreams of Sathya Sai Baba in a wheelchair about seven years before the Guru ever got into one. The author was also told by several other devotees they had similar dreams as well. 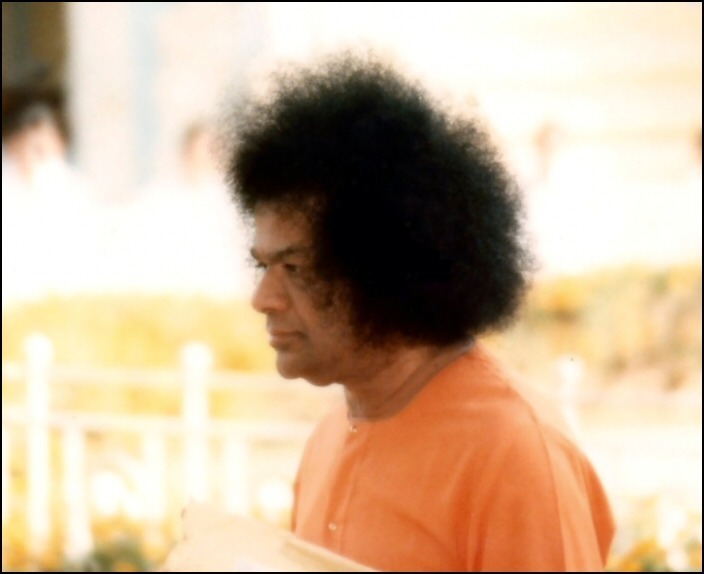 Sathya Sai Baba moved fully, freely and tirelessly up until the year 2003, at the ripe age of 77 when he had a hip fracture and after which he could be seen using a wheelchair. Strange enough, Sathya Sai Baba’s physical condition actually embarrassed some “devotees” because their Guru was using a wheelchair! Others had doubts about Sathya Sai Baba’s divinity or Godhood based on his physical condition. 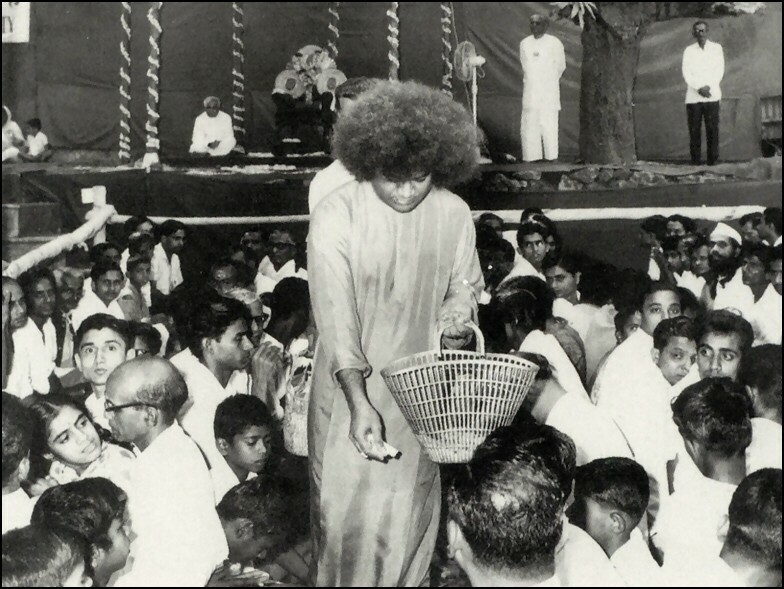 In a certain sense, Sathya Sai Baba’s use of a wheelchair has served to further separate the “grain from the chaff” among his devotees. It is also to be noted that spiritual masters and avatars have also been subjected to many earthly ordeals. Jesus was nailed to a cross. Krishna (considered a poorna-avatar) “died” as the result of an arrow piercing his foot. The Buddha “died” from food poisoning. The prophet Mohammed “died” from food poisoning. Lord Rama “died” by taking Jala Samadhi (drowning) in the Sarayu River. Ramana Maharshi and Ramakrishna “died” from cancer. Nevertheless, all religions do not focus so much on the physical conditions or earthly departures of these divine personalities as they do on their messages, miracles, inspiration, love and teachings. How fortunate we are to have Bhagwan Sri Sathya Sai Baba moving among us and showering his Love and Grace by giving us darshan, sparshan and sambhashan. But due to his ‘maya’ we are sometimes deluded to think that He is a human being like any one of us. But Swami Himself keeps warning is against committing such mistake. This phenomenon is not new. Moreover, it is impossible for man to understand the mystery of the Avatar unless He Himself reveals it to us. Baba, in His Divine Love, Compassions and Mercy fro us all, has been revealing from time to time His mystery and mission through His Miracles and His Divine Declarations made during His discourses, “If I don’t tell you about Myself, who can?” He speaks. He declares that His devotees can tell anyone in the world with full confidence and faith that “Lord is here is the Prashanthi Nilyam”. Mysterious are the ways of the Yuga Avatar Bhagwan Sri Sathya Sai Baba. He is Omnipotent, Omnipresent and Omniscient. There is no work that He cannot do by just willing it. But he gets things done through us by making us His instruments to give us ananda. Sathya Sai Baba: My health is very good. Real health is not related to the body. As you equate Swami with this physical frame, it appears as though Swami is not well. Yad bhavam tad bhavati (as is the feeling, so is the result). Do not identify Me with this physical body. I am not Dehaswarupa (body), I am Dehi (the indweller). I have all powers in Me. But you are deluded, seeing My physical form. As a matter of fact, there is no trace of ill-health in Me. I am always healthy. I can do whatever I want. But those who go by the physical form think that Swami is aging. Youth and old age are related to the body and not to Me. I am always the same. I can do anything. If you think that Swami is strong and healthy, yes so He is. There is no weakness in Me. My angas (limbs) may appear to be weak. But I am not angaswarupa, I am Atmaswarupa. Wherever you may go, worship God as Atmaswarupa. Do not identify Him with an akara (form). Give up body consciousness and develop Atmic awareness. Only when you lead a spiritual life will you be able to visualise the Atmaswarupa. If you identify Me with the body, I cannot walk even two steps. Do not think about the akara. Have faith that I am the Atmaswarupa. Then I will always remain healthy. Sathya Sai Baba is a world-renowed and highly respected Spiritual teacher and humanitarian despite the fact that he uses a wheelchair and requires assistance walking. 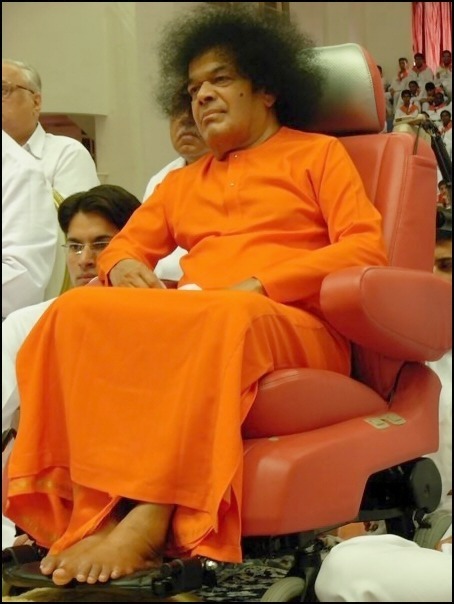 The most intriguing aspect about Sathya Sai Baba’s current physical condition is how he revealed his use of a wheelchair to many people in dreams years before he ever got into one. Despite using a wheelchair, numerous miracles and manifestations associated with Sathya Sai Baba are still reported on an international scale (even up to the present day).